With Summer winding down, I wanted to share a quick and refreshing beverage with you! 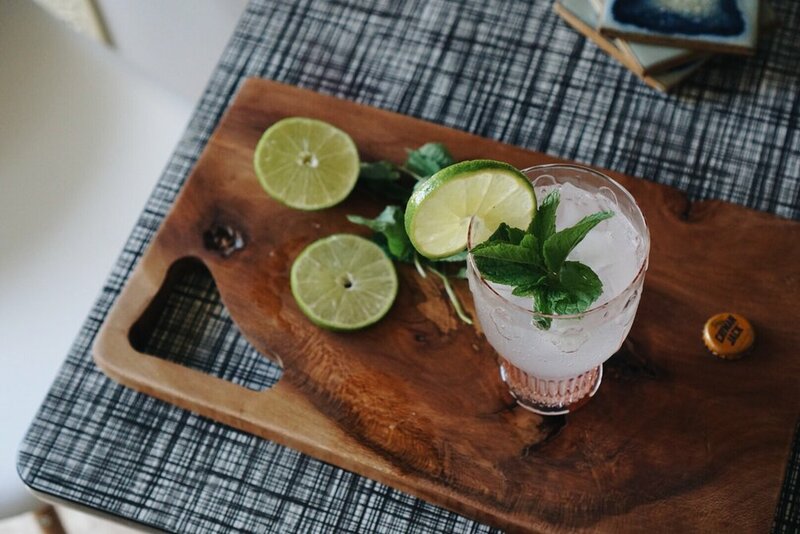 I feel like I'm pretty far out of the loop when it comes to drink options, but this one is extremely easy to throw together at home or for a dinner party; I give you, the perfect mojito. Okay... perfect MIGHT be a strong word; but they're pretty dang good. 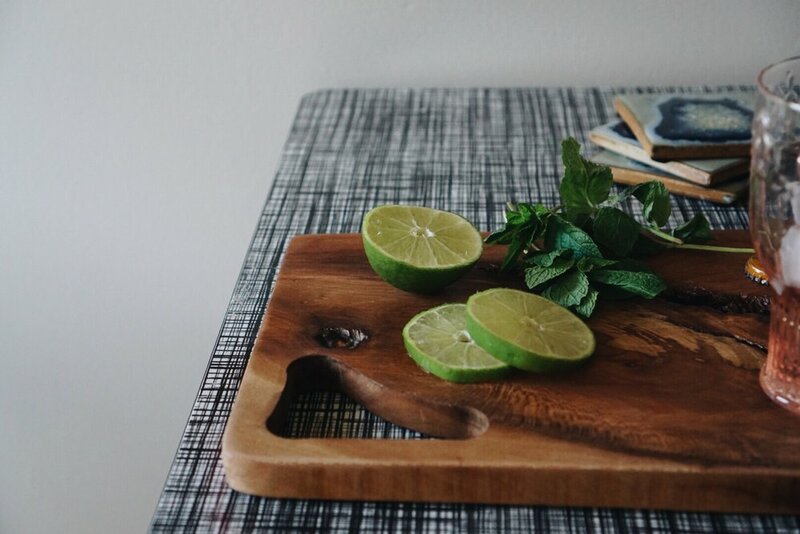 Just grab a six pack of Cayman Jack Cuban Mojito, a handful of mint, and one lime, (depending on how many you're making for), and you're all set! 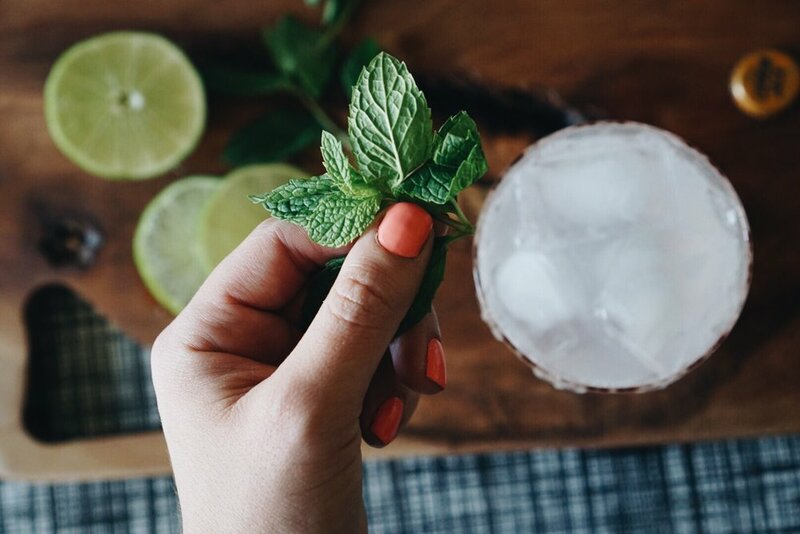 Just pour your drink over ice, and set with a pinch of mint leaves and a slice of lime to garnish. (I end up throwing my lime in the drink as well to give it a little extra flavor). Cheers to the end of a season, and the beginning of another! Happy Sunday, friends. Board: Tyler Kingston Wood + Supply Co.